New Zealand author David Hill came to Victory Primary School to talk about what it is like to be an author. David told the Victory journalists that his favourite author was Nelson’s very own Maurice Gee. David also read us some of his own work including a short story about a truck, a bridge and a really good swimmer. David said that he has just published a new book called Sinking. 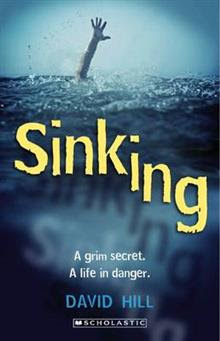 Sinking is about a boy and a crazy old man he sees on the way to swimming training.